What is the purpose of the Fire Door Signs? Our fire door signs add a prestigious look to fire doors. They come complete with drill holes for easy placement. Made of high quality materials, they are built to last. Where can the Fire Door Signs be used? 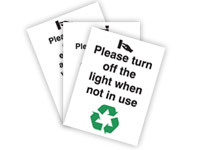 Who might use Fire Door Signs? 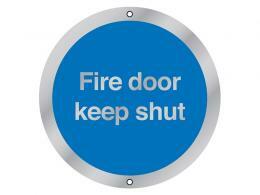 The fire door signs can be used by any commercial business with fire doors. The circular fire door signs clearly distinguish fire doors from standard doors for safety reasons. Our fire door signs come with a standard 1 year parts and labour warranty. Additional details about sign options are listed below.